Spending time with informants is such a privilege. Not only do they welcome me into their private lives, they allow me to explore their personal world – an amazing source of information on human behavior. That’s way the ethnographic method is so central for in-depth understanding of people. If I feel unsafe I try to ground myself. It’s sort of a meditation act. It’s not that I’m religious but I ask the higher power or… being for help. I notify that I’m in need of assistance. Then I send… chains down through my driving seat, through the truck, through the asphalt, down and down. And that’s how I ground myself. Chains are good, that’s strong stuff, but I actually use spider web a lot. 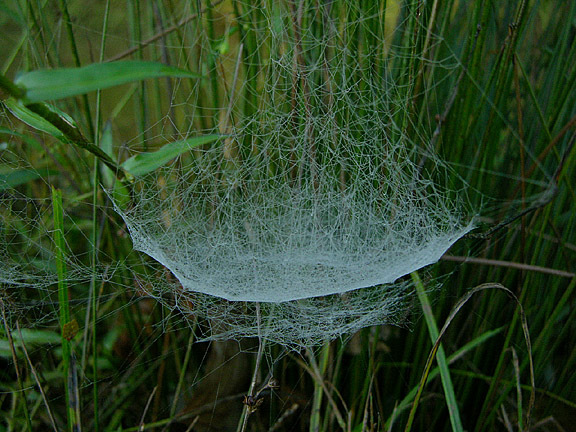 Lots and lots of spider web.